Hindu Panchang has a lot of importance in Vedic Astrology. In the Hindu religion, it is believed to be impossible to carry out a feast, festival, celebration and work without consulting panchang, because it's only with the help of panchang that we could find out the Tithi and Muhurat. You may check out all main elements of Hindu Panchangam on this page. On the basis of the calculations of five parts of the Hindu Panchang, the Muhurat is noted down. On this page you will find everything about panchang like the day and month along with the popular panchangs of different states with Day, Tithi, Nakshatra, Yoga, Karana, Sunrise-Sunset, and Moonrise-Moonset related information. Apart from this, you will get to know information related to the benefic and malefic timings in the panchang column. With this, you can also access the online software and get to know the panchang for your city. The online service related to panchang can give you the information regarding the Tithi, Festival and Muhurat. What is a Hindu Panchang? ● Vaar (Day of the Week): Panchang follows a seven-day week and modulates auspicious events, dates and occasions based on it. The 7-day week starts from Sunday to Saturday and are named after their representative planets. ● Tithi (The Lunar Day): It refers to the status and position of Moon in Shukla Paksha (waxing phase) or Krishna Paksha (waning phase). In either cases, Tithi is named after the condition of Moon. this makes up for one main reason that there are 14 tithis in both cycles between Amavasya and Purnima. ● Nakshatra (Lunar Mansion): The universe is divided into 12 constellations or zodiacs according to Vedic Astrology. As defined, Nakshatras are group of 27 stars forming a zodiac sign. They are analysed according to the Moon’s position. ● Karana (Half Lunar Day): The half of a Yog is called Karana. 2 Karanas make a Date or Tithi, totalling to 11 Karanas in all. 4 of them are fixed, and remaining 7 are movable. ● Yoga (Luni-Solar Day): A yoga is calculated by summing the Longitude of Moon and Sun and divided into 27 parts in 13°20'. You can check Panchang for today and see what time prove to be most fruitful for you to attain your objectives. ● Five Attributes, according to Vedic Astrology, which are as described above, i.e Tithi, Yoga, Karana, Nakshatra and Var. ● Almanac, in which astrological dates and other details are recorded. ● Panchānga-Pūjan, a part of Ganesh-Ambika-pūjan. 1. 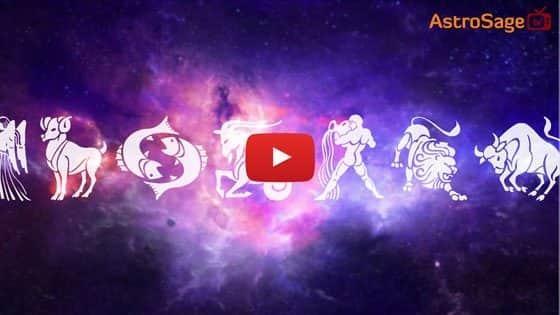 A horoscope can never be created without consulting Panchangam, as the astrologer has to consider the position of planets and constellations before going ahead. 2. The readings help to decide the prospect for any given day. 3. One can go ahead with conducting auspicious events or organizing any ritual by consulting the Panchang. 4. Astrologers can analyse the Panchang and tell about numerous Hindu festivals and celebrated days. 5. Also, one can fix the auspicious Muhurat to begin any task by consulting the Hindu Calendar. 6. By reading the Indian calendar, one can also filter the unfavorable and inauspicious muhurats such as Sade Sati, Rahu Kalam or in Choghadiya and find remedies to resolve their malefic effects. 7. Apart from muhurat, Panchang helps to identify transits, retrogrades, purified ascendant, Dasha, propitiations, omens, social customs etc. These are some of the prominent elements which are used when reading the Hindu Panchang. Hope you have liked this article and got answers to your queries.